Mazda 2 1.5 75 SE-L+ 5dr 2019 Review | What Car? What Car? will save you at least £395, but our approved dealers could save you even more. SE L+ adds climate control, cruise control, automatic headlights and windscreen wipers, rear parking sensors, Bluetooth phone connectivity and a leather wrapped gearstick. 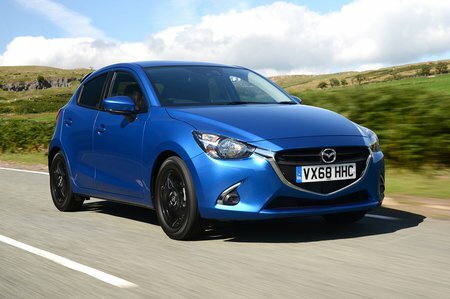 It goes without Mazda’s capable infotainment system with DAB radio, though. We’re yet to try this engine, but the 89bhp from the mid-range engine already feels a bit of a struggle, so we think this smaller output might be optimistic at best.